IN THIS AGE OF CONSTANT CONNECTIVITY, LEARN HOW TO ENJOY SOLITUDE AND FIND HAPPINESS WITHOUT OTHERS. Our fast-paced society does not approve of solitude; being alone is antisocial and some even find it sinister. Why is this so when autonomy, personal freedom, and individualism are more highly prized than ever before? 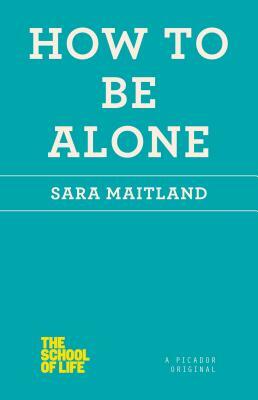 In How to Be Alone, Sara Maitland answers this question by exploring changing attitudes throughout history. Offering experiments and strategies for overturning our fear of solitude, she helps us practice it without anxiety and encourages us to see the benefits of spending time by ourselves. By indulging in the experience of being alone, we can be inspired to find our own rewards and ultimately lead more enriched, fuller lives. Sara Maitland is the British author of numerous works of fiction, including the Somerset Maugham Award-winning Daughter of Jerusalem, and several nonfiction books, including A Book of Silence. Born in 1950, she studied at Oxford University and lives in Galloway, Scotland.